Teenhulk my 17 yr/old son realizes that his 914 project is at least 3-5 years from completion but wanted a car now. 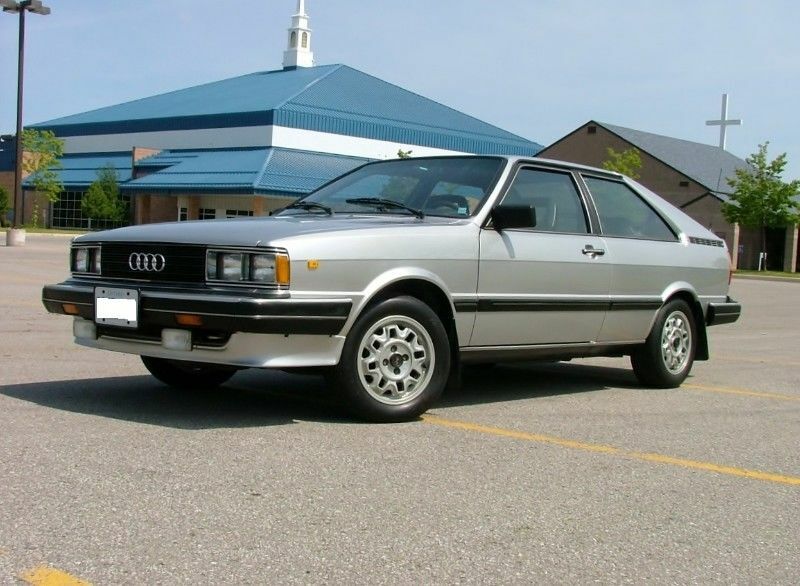 I found him a real nice condition 1982 Audi coupe, 5 cylinder. I believe it's a B2, same but upgraded VW dasher? Like to lower it a few, bilsteins, don't want to kill the ride, don't want to bag it. just something well sorted, firm...you know like a well sorted 914. Even I don't like the rears, they are pretty weak, car sits nose high like a stock 914. 4X100 wheel pattern so any VW, honda, hyundai, chevy cobalt, etc etc., rim will fit with the right offset. Lots of cheap choices for rims. Any suggestion from the collective? Steer me in the right direction. I've asked over on the vortex forum, I'm guessing that's the best source?